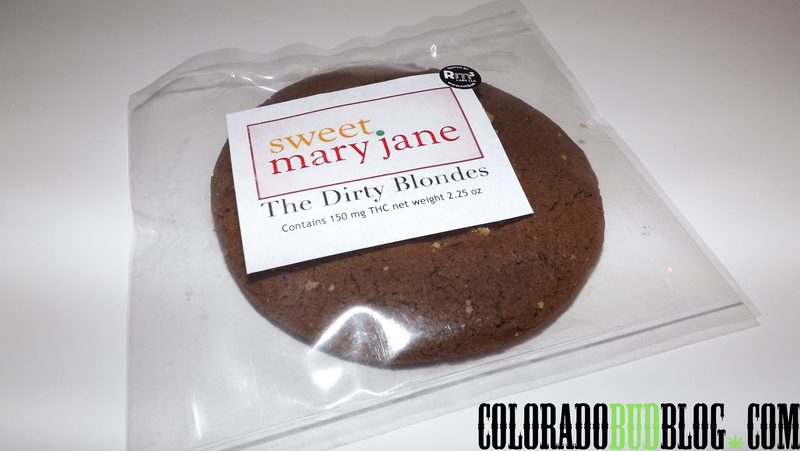 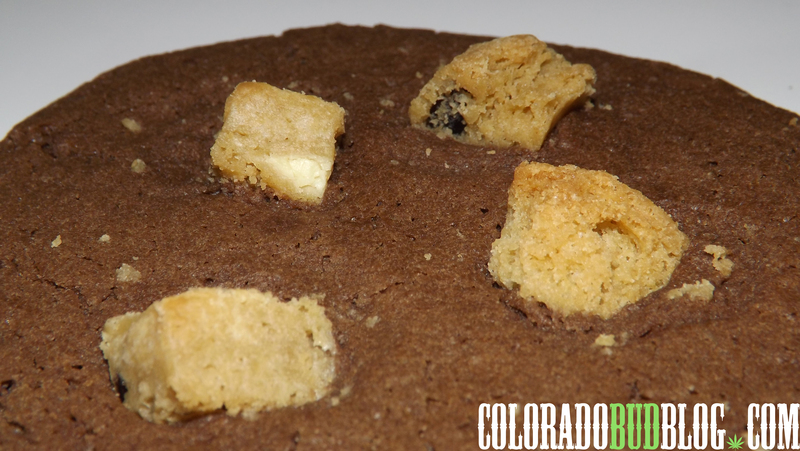 The Dirty Blondes Cookie from Sweet Mary Jane Edibles. 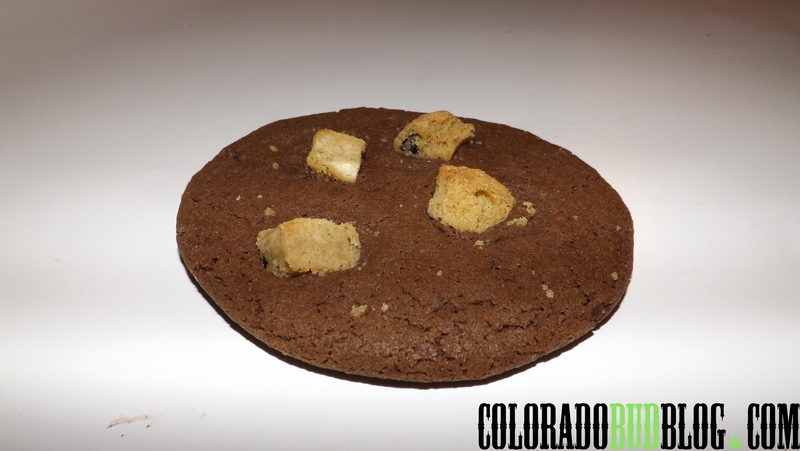 It is a cocoa cookie with “blonde pieces” on top, consisting of chocolate, cranberries, orange zest, and vanilla. 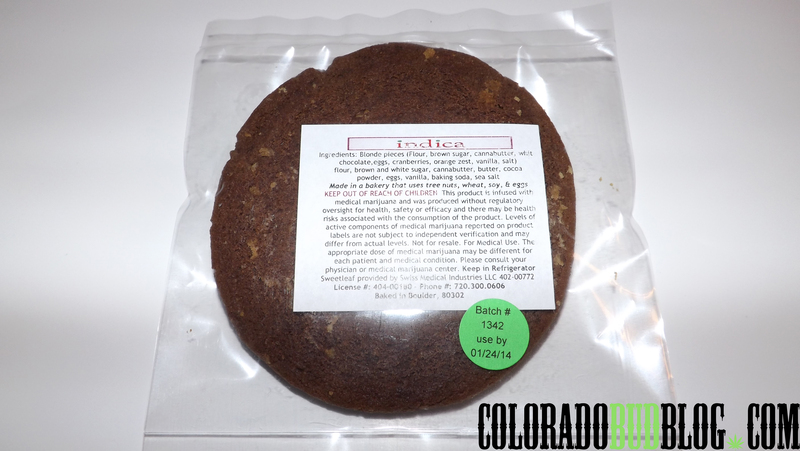 150mg THC per cookie.